Every man wants to know his life counts for something. He wants to know that there is a greater purpose and plan than the everyday routines and trials he experiences. The world teaches that a greater life is experienced through what you own, achieve, and experience. God teaches that greatness begins and ends with Him, and that by His grace, He invites and empowers us to a “Greater” life. 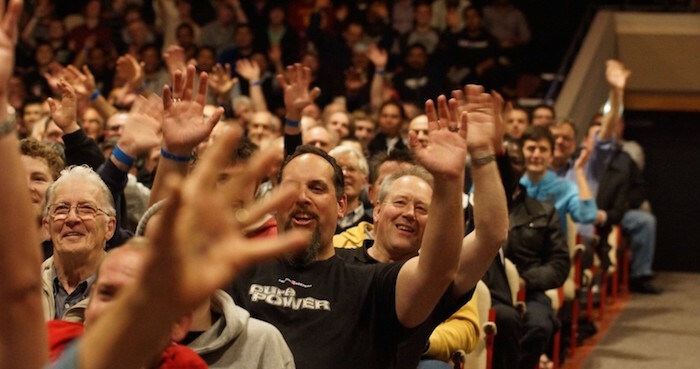 Men, join thousands of men across Canada at Promise Keepers’ Greater conferences this November. The ministry programming of Promise Keepers Canada is centred in three key words found in their mission statement: Ignite. Equip. Impact. Speakers at this year’s Greater conference include: Jeff Goring, Ian Nairn, Nate Larkin, Jamie Snider, Rick Reed, John Vermilya, and Mark Hughes. November 13-14, 2015, in Toronto, Ontario. Register online at promisekeepers.ca or call 1.888.901.9700.